Stimulants e.g. nicotine and caffeine as they aggravate pain. Heavy lifting or pushing (supermarket trolleys can be particularly painful). Pushing through any pain. If something hurts, if possible don’t do it. If this type of pain is allowed to flare up, it can take a long time to settle back down again. Be wary of clinicians who use massage therapy, heat, and TENS as their main treatment approach. This is not what physical therapy is about. Be wary of clinicians who do not perform a thorough evaluation of your condition and try to understand the cause of your condition. Most likely they will not be able to provide you the most appropriate treatment for your condition. Be wary on relying too much on MRI’s or X rays as a means of identifying the underlying cause of your musculoskeletal dysfunction. 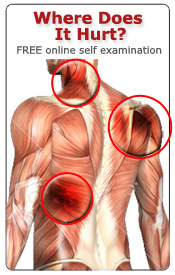 The abnormality of a structure does not necessarily mean it is the cause of your pain. This is the reason why some patients, for example, after carpal tunnel release or after low back surgery still have the same pain that they originally complained of. Be wary of being dependent in taking pain medication or pain management injection as a means of decreasing or eliminating your pain. This is in many cases just a short term relief and it removes the pain sensation only. However it will not most likely remove the cause of your pain. In fact, you may begin to develop more pain generating tightness in or around the involved soft tissue or joints at the time that you have become pain-free. You will then realize that when the pain comes back again, you need to take more pain medication than you previously need to relieve yourself of pain. Then the interval between each painful episode becomes less and less and the duration of each painful episode becomes longer.